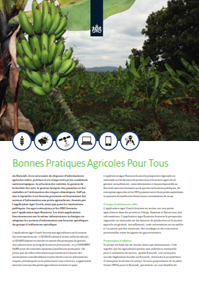 In Burundi there is a need for useful, accurate and realtime agricultural information in relation to the weather, variety selection, soil fertility management, integrated pest and disease management and mitigation of climate risks. GAP4A aims to address these pressing needs by delivering information services to smallholder farmers, provided by the Agri-Coach app, as well as to public institutions, agribusinesses and NGO’s provided by the Agri-Business app. Both apps will run on the same technical infrastructure tailoring the information services to the specific needs of the specific user group.